A pioneer of professional services sales with more than 25 years of experience in the field, Steve Bell was the co-founder of the Sales Department at Price Waterhouse, the founder of Sales at Grant Thornton, and the legal profession’s first director of sales. In his current role as Womble Bond Dickinson’s Chief Sales & Marketing Officer, Steve is responsible for engaging and serving clients ranging from entrepreneurial companies to major multinationals, principally in manufacturing and distribution, telecommunications, technology, hospitality and financial services. Among his innovations are professional services sales processes, the use of CRM in professional services, sales compensation systems and national sales contests. He was an early advocate of the Association of Corporate Counsel’s Value Challenge and is an ombudsman for inside counsel and strong supporter of the ACC, its chapters and committees. In 2013, David was named by the National Law Journal as one of the Top 50 Legal Business Trailblazers & Pioneers. He is chairman of the advisory board for the Annual Law Department Operations Survey, where he also serves as editor and contributor. He received his BA, with honors in Political Science and Economics from St. John Fisher College and a Juris Doctor Degree from the University of Dayton, School of Law. Mr. Caplan, who joined Goodwin in 2014, serves as the firm’s chief operating officer. As COO, he manages the firm's business, financial and administrative operations. He serves on Goodwin's Executive and Management Committees, and focuses on the firm’s growth strategy and execution. Marta Carreira-Slabe is the chief counsel for Aon plc in Latin America. She is responsible for managing Aon’s team of in-house attorneys throughout Latin America and for advising the business on legal, and compliance issues related to key corporate and regional initiatives as well as on overall business strategy. She also is responsible for supervising corporate transactional matters on mergers and acquisitions as they relate to Latin America; managing litigation and regulatory matters; and counsels and educates Aon Latin America on FCPA/anti-corruption policies, including third party compliance, as well as AML and date privacy issues. Before joining Aon in 2006, Marta was an associate with Sidley Austin, LLP in Chicago from 2003 to 2006 where she practiced civil litigation, including copyright, media access and publishing-related issues, class actions and ERISA. Marta was responsible for several aspects of litigation and also represented clients before the International Chamber of Commerce. She began her legal career in 2001 as a law clerk for the University Of Illinois Office Of Legal Counsel in Champaign, Illinois. Prior to becoming an attorney, Marta was a television news anchor and reporter at WCIA-TV, in Champaign, Illinois. Jim Cranston is a founding Principal of LawVision Group and is widely recognized as a leading authority on sales and business development in the legal industry. He has developed a unique method for teaching sales skills to lawyers and law firms, which consistently helps professionals win new clients and grow firm revenues through his innovative programs. Previously he served as a Managing Director with Hildebrandt Baker Robbins, one of the world’s leading law firm consultancy organizations. Prior to joining Hildebrandt, Jim co-founded CoulterCranston, a consulting firm focused on assisting law firms with all facets of business development. Jim was also a member of the senior leadership team at Pillsbury Winthrop Shaw Pittman in San Francisco. As the Director of Business Development, he was instrumental in creating and implementing the client team program resulting in significant growth with many of the firm’s top clients. Prior to his work in the legal industry, Jim spent fourteen years selling consulting services in Northern and Southern California. In 1990, he was one of the first recognized business development executives among the Big Eight where he served as regional sales manager at Price Waterhouse. Four years later, he was recruited to grow the consulting practice at Arthur Andersen as the Director of Business Development. During his seven-year tenure at Andersen, Jim received the prestigious “Sales Excellence Award” on four occasions and later received the firms “Top Producer” award. John is a freelance writer and communications consultant who practiced law for nearly 17 years. During nine of those years, he served as V.P. and General Counsel to a publicly held international company and as General Counsel and Secretary to a Fortune 100 subsidiary. He also served as a news editor and reporter for Lawyers Weekly publications for more than four years. As a reporter and writer, John has produced articles for more than 20 press publications, covering stories about virtually all legal practice disciplines, as well as the marketing and management of law firms. As a freelancer, he has also written white papers, newsletters, marketing materials and Web site content for trade associations and professional service firms. LSSO Co-Founder, Chief Business Growth Officer, Goulston & Storrs, P.C. Strategic marketing and business planning are at the core of Beth Marie Cuzzone's role at Goulston & Storrs. As the Chief Business Growth Officer, Beth leads client development initiatives for firm members, practice areas and industry groups. She manages a wide range of business development activities including in-house sales training such as networking, client service and presentation skills. Beth is also part of a team responsible for overseeing firm branding, external communications, client relationship support and managing the department’s budget. One of Beth’s essential roles is conducting, analyzing and reporting feedback from client interviews, ensuring the firm and its clients remain cohesive. Beth co-authored the books The Law Firm Associate's Guide to Personal Marketing and Selling and Marketing Success: How Did She Do That? published by the American Bar Association. Additionally, Beth is a contributing author to 51 Practical Ways for Law Firms to Add Value, developed by the Law Firm Value Committee of the Association of Corporate Counsel. As an industry leader in professional services marketing, Beth is a founding member of the Legal Sales and Service Organization. She is also a member and former President of the Legal Marketing Association, New England Chapter. Beth holds a green belt in Six Sigma business strategy and is a trained facilitator. A seasoned trial lawyer and former federal prosecutor, Tinos Diamantatos represents organizations and individuals in litigation, government and internal investigations, and securities enforcement proceedings. This includes white collar crime, litigation related to government investigations, qui tam litigation, and complex civil litigation. He also counsels clients on compliance issues. Before joining Morgan Lewis, Tinos served with distinction as a federal prosecutor in the US Attorney’s Office for the Northern District of Illinois. John Hellerman is the President of Hellerman Communications, an award-winning corporate communications agency positioning professionals to win business and navigate crises. John is a Fellow of the College of Law Practice Management, was recently recognized in The National Law Journal’s inaugural list of “50 Business of Law Trailblazers & Pioneers” and was named Agency Executive of the Year by PR News. Follow him at @jhellerman. In her role with Womble Bond Dickinson, she serves as Director of Client Service and works closely with firm attorneys and clients to initiate and expand relationships, as well as to ensure that the firm is providing the highest quality client service. Stephanie also leads the firms Manufacturing and Transport, Logistics & Infrastructure Industry Sectors. Her fluency of the German language as well as possessing dual citizenship in both the United States and Germany serve her well in growing clients in these sectors. Beyond the office, Stephanie has served in various leadership positions with the Legal Marketing Association and currently serves on the Leadership Committee of the German American Chamber of Commerce’s North Carolina Chapter. She is also an active member in Rotary. Stephanie is a graduate of the University of South Carolina, and holds an MBA from Pfeiffer University. Brent Jones spent most of his twelve-year career in the National Football League playing for the San Francisco 49ers, the dominant team of his era. He won three Super Bowl rings and received the NFL’s Bart Starr Award for outstanding character in the home, on the field and in the community. In 2000 he co-founded Northgate Capital, a venture capital and private equity firm in Silicon Valley. Bill Josten is a Strategic Content Manager for the Thomson Reuters Legal Executive Institute. Bill’s work focuses primarily on issues of interest to high-level decision makers in the legal market, including law firm managing partners and C-Level officers, as well as corporate general counsel. Much of Bill’s research and writing focuses on issues related to law firm profitability, the future of the legal business, and law firm/client relationships. During his time with Thomson Reuters, Bill has also worked as a pricing and profitability consultant, helping firms evaluate their cost recovery strategy, and providing insight into some of the innovative approaches firms are using to change the ways costs are recovered and matters are priced. Bill has worked in account management for large law firms and as a Reference Attorney, and prior to joining Thomson Reuters, Bill was an attorney in private practice as well as a law clerk at the Minnesota Court of Appeals. Neel Lilani drives new global business opportunities through coordinated strategies across the technology sector. As Managing Director, he leads Orrick’s global corporate development group and manages the firm’s venture capital relationships to help companies with growth financing and business strategy evolution. He has served in senior strategy roles at some of the world’s leading law firms and Fortune 500 companies and is passionate about international growth, strategic planning, and technology-driven businesses. Mark Medice is responsible for business consulting at Intapp, helping law firms to achieve client success using data science, metrics and actions, exploring innovation in client service. Prior to Intapp, Mark led the Peer Monitor program at Thomson Reuters, consulting with law firm leaders on topics like financial competitive intelligence and benchmarking, industry performance, rates, pricing trends and strategy, profitability, among other metrics. He is a licensed attorney and also worked throughout his career with Morgan Lewis, IBM, and Procter & Gamble. Senior Account Manager Beth Miller offers more than a decade of experience spearheading marketing and public relations campaigns on behalf of law firms, financial services, real estate and other professional service firms. She takes the time to understand the needs of clients and their marketing objectives, and goes the extra mile to find new and different opportunities for promotion. Beth stays at the forefront of trends and maintains strong media relationships to ensure firms can capitalize and obtain coverage to create greater awareness among target markets. She demonstrates tenacity and is known for her persistent follow-ups which get results. Matt is Vice President of The Heico Companies, a family-owned global group of 40+ manufacturing companies spanning a number of industries. In his role as General Counsel of the Ancra Group, one of Heico's four platforms, Matt handles corporate, commercial, litigation, real estate, labor, employment, regulatory and all other legal matters for 18 companies operating on five continents. In his role as Director of Heico Compliance, Matt oversees and operates Heico's global compliance program (policies, training and process). Prior to joining Heico, Matt served a brief stint as General Counsel of the American Football League of China (AFLC), an American-rules football league comprised of 90%+ domestic Chinese players headquartered in Shanghai. He spent two years in Shanghai as Manager of Ethics & Compliance for Greater China for Dow Corning Corporation at the end of a seven-year span with that company that also included commercial counseling and lobbying law. Matt started his career with Kirkland & Ellis LLP's private equity practice in Chicago. In 2016, Matt was named one of the Association of Corporate Counsel's Top Ten Thirtysomethings. He was Chair of the ACC's 6,000+ member Law Department Management Committee in 2017, served two years as Vice-Chair of the American Chamber of Commerce in Shanghai's Legal Committee from 2014-2015. Matt received his JD from Michigan Law School, where he serves today on its Development & Alumni Relations Committee and as Co-Chair of his class's reunion committee. He is a Certified Compliance & Ethics Professional (CCEP), and speaks increasingly-less-fluent-with-time Mandarin. Andy Peterson has spent the last nine years throwing himself into designing better experiences for clients and customers: more transparent, more collaborative, and more efficient, where decision-making is driven by data as much as by gut feeling. He thrives at working directly with clients to design technology, process, data analysis, and staffing initiatives that solve some of their most difficult legal and business challenges. Jennifer Roberts is responsible for the analytics and research component that supports thought leadership and new initiatives at Intapp. Leveraging her skills to advocate, evangelize and build data-fueled products and insight, she examines the legal industry to drive analytical intelligence that informs strategic decisions and solves organizational needs. Prior to joining Intapp, Jennifer was responsible for innovation and development of thought leadership content at Thomson Reuters. Jennifer received her Master’s degree from Humphrey School of Public Policy, with an emphasis on statistical methodology and performance measures within various industries. 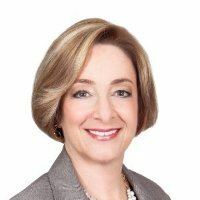 Audrey H. Rubin is Vice President and Chief Operating Officer for the Law Department of Aon Corporation, the leading global provider of risk management and human resources consulting and outsourcing. Audrey is responsible for all financial, technology, personnel and other business matters of that department, which has over 250 lawyers worldwide and provides strategic legal counsel to all Aon business lines. Prior to joining Aon, Audrey was President and Founder of Rubin Solutions, Ltd., advising professional service firms and corporate law departments on finance and operations. Rubin has also been COO for the large Chicago firm Wildman Harrold Allen and Dixon, and the boutique firm Butler Rubin Saltarelli & Boyd. Prior to that, she was General Counsel and Vice President of Legal and Human Resources for three global companies: Orbitz, Grant Thornton, and Apollo Travel Services, and before that a business litigation partner in private practice. She has also served as Corporate Secretary and board member of the international boards of directors of Apollo Travel Services (U.S. based), Premier Meetings (U.S. based), Gemini (Canada based), Apollo de Mexico (Mexico based), Apollo Nihon (Japan based), and Galileo (U.K. based). As a Co-founder of Design Build Legal, Kate White works with law firms and legal departments to identify and execute on strategic client engagement and innovation initiatives. Her focus throughout her career has been helping lawyers design client-centered solutions, deliver value-added services, and build strong client teams and engagement models. Kate is also the co-host of the podcast Legal Ops Rising. Prior to launching Design Build Legal, Kate was a founding member of Davis Wright Tremaine's innovation effort, DWT De Novo, which resulted in the firm being recognized as ILTA's Innovative Law Firm of the Year two years in a row. She also spent many years as a Business Development Manager, helping an Am Law 200 firm launch and market new practice and industry areas and win new work. Kate has a J.D. from Seattle University School of Law and has completed the Stanford Law School & d.school's Legal Design Thinking Workshop.